Century-Line® Pipe Penetration Sleeves are used to create circular sleeved holes in concrete-poured barriers including; walls, floors, ceilings, structural supports and tank footings. They are mostly used to create penetrations in water, gas and non-aggressive applications but are also resistant to some acids, alkalis and other organic solvents. Molded from non-conductive, high impact resistant HDPE, Century-Line® sleeves are engineered to provide a stable penetration from 50 mm to 628 mm diameter. Century-Line® Sleeves are engineered to create the ultimate seal when used in conjunction with Link-Seal® for a lifetime of leak-proof performance. Projex Group can supply you all the specialised items required to effectively seal the annular space between pipes and the concrete barriers through which they pass. Century-Line® Sleeve CS-12-12 = 6.5 lbs. 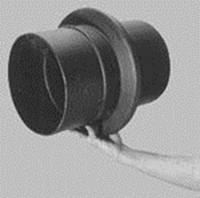 Century-Line Sleeves are available in 16 diameter sizes ranging from 2″ (50mm) to 25″ (628mm) in any desired length. Standard sleeves are 16″ (406mm) in length. The 2” (50mm) water stop collar not only anchors the sleeve in position but creates a long tortuous path against the migration of water around the outside of the sleeve. Sleeves can be cut shorter on-site using ordinary hand tools. Suitable for temperature between -40º C to 66º C.
Century-Line Sleeve in combination with Link-Seals guarantees a perfect seal.